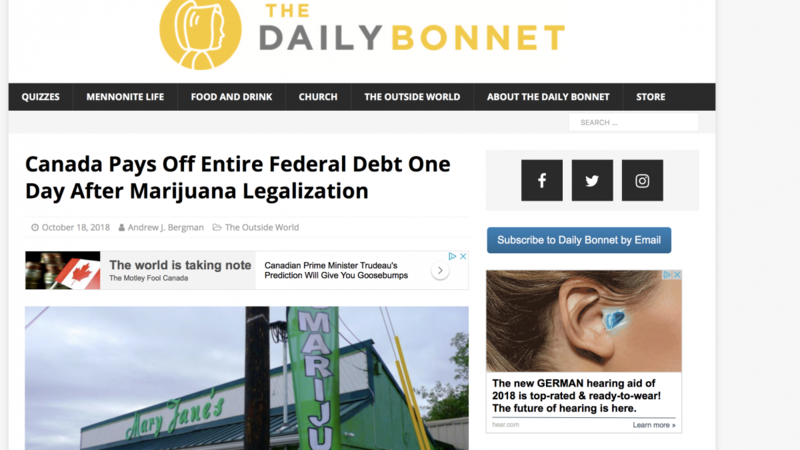 Recently I wrote a satirical article for The Daily Bonnet with the headline “Canada Pays Off Entire Federal Debt One Day After Marijuana Legalization.” Surprisingly the post went viral and actually became the most read post ever on The Daily Bonnet. If I could write a post like that every day I would, but one thing I’ve learned after two years of writing the Daily Bonnet is there’s really no way to know ahead of time how popular or viral a particular post will be. The popularity of the marijuana post, however, drew attention from fact-checking websites such as Snopes.com and Pulitizer Prize-winning PolitiFact.com, both of whom pointed out that not only was the article false, but it should have been obvious to readers that it was satire. Why, one might wonder, would a post with such an outrageous and obviously-fictitious headline need to be fact-checked? The sad reality is there are some people who have trouble discerning fake news, even satire, from real news. I was asked to comment on this article by a few journalists, including one from PolitiFact. I responded to his request, but the article had already been published, so my comments were not able to be included. However, his questions got me thinking about the whole idea of fake news, satire, and political discourse. Here are my thoughts. 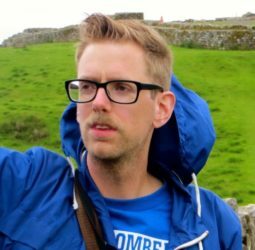 satire or parody news – satire or parody, in the style of a news article, intended to entertain or make social commentary, but not to deceive. false news – blatant lies with no other intended purpose than to get clicks or to mislead people. These are often memes. biased news – this is what Donald Trump means when he says “fake news.” He’s referring to real news outlets that he believes are biased against him. This is huge. Many satire articles play on generalizations or exaggerations of reality. So, for example, if you’re pre-disposed to disliking Justin Trudeau, you’re much more likely to fall for a satire article that makes him look ridiculous. If you’re a Trump hater, you’d be more likely to believe an anti-Trump satire article to be true. Schools often educate students on media literacy (for example, detecting bias or opinion in reporting), but it’s just as important to emphasize metacognition and awareness of one’s own biases, because this is exactly how people confuse fake news (or satire) for real news. A general rule of thumb on the Internet is to be extra skeptical of anything that seems to confirm your biases. If you like it too much, if it seems to agree with what you already believe…you better be cautious, because it’s probably B.S. 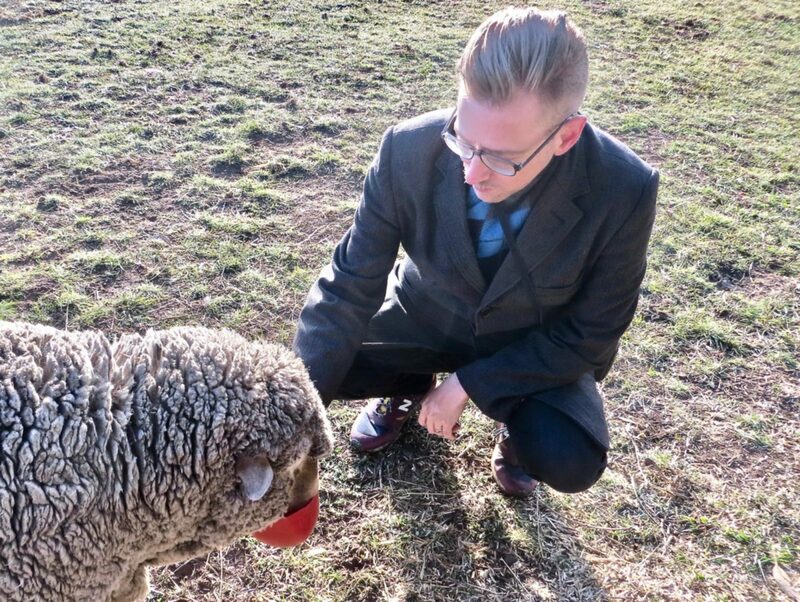 We tend to trust things we agree with, but given the nature of Internet algorithms, it’s actually things we agree with that we should be most skeptical of. Have a look at this headline: “Canada Pays Off Entire Federal Debt One Day After Marijuana Legalization.” If you’d pause, for just half a second, and think about it, you’d have to know that wasn’t true, or at least have reason to doubt it. But, let’s say the headline was not obviously satire – well, then you read the article, of course. In this case, there are jokes about the Prime Minister’s blood shot eyes and the finance minister being high while crunching the numbers – these are dead giveaways that the article is satire. But if you’re only reading the headline, or only skimming the article, you’re going to miss this stuff. Unfortunately a lot of people are doing just that. I’ve also encountered a few people who are unaware of what satire is or that it exists, but with the prevalence of satire these days those people are quite rare. The fact that some people get duped by fake news is not Facebook’s fault. I don’t blame the Russians either. This is entirely a literacy issue. There have been numerous attempts to address fake news, most of which, thankfully, respect the art form of satire and have focused their attention on deliberately-deceptive false news. Facebook and Google Ads have blocked some users. People consult Snopes or PolitiFact to check if something is real or not. People check sources to see if something is a legit news outlet. There are even some plugins you can install in your web browser that alert you to fake news or satire. While I value fact-checkers and consult them regularly, I think all these aforementioned methods are not addressing the root of the problem. If people lack that “spidey-sense” that says, “hey, this is satire,” or, “hey, this doesn’t seem right to me,” then it’s not even going to dawn on them to consult a fact-checker. The issue is literacy and the only real solution is education.